Cristiano Ronaldo son celebrates today (17-06-2011) his first birthday and got baptized in Alcochete, Portugal. Cristiano Ronaldo Junior christening ceremony attracted many attentions from the media and besides CR7 family and Irina Shayk, celebrities such as José Mourinho, Nani, Yannick Djaló, Ricky Martin and Jorge Mendes are expected to be present. Cristiano Ronaldo son turns 1 year old today and as a way to show how devoted CR7's family is to Christ, they decided to baptize the child on this special day. Irina Shayk and her sister Tatiana will be on the ceremony and obviously also in the after-party, proving once again that this relationship with Cristiano Ronaldo is not some random fluke. Irina Shayk is said to be very anxious about this day and will have another chance to socialize and relate with Cristiano Ronaldo family. Cristiano Ronaldo has been in Portugal since the beginning of the week and took the chance to show Lisbon to both Irina Shayk and her sister. The christening ceremony will happen in a Portuguese airbase in Lisbon, while the big party will take place in Cristiano Ronaldo's sister house. CR7 already took the necessary measures to assure that there will be no problem related with the safety of his son and his guests. 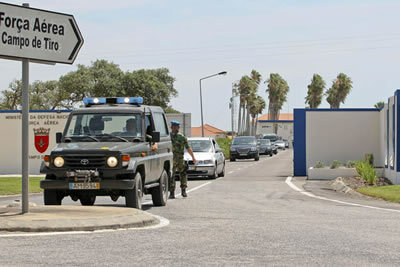 Ronaldo hired a private security company called "Falcon Securitae" and will count as well with the Portuguese police help, provided by GNR. 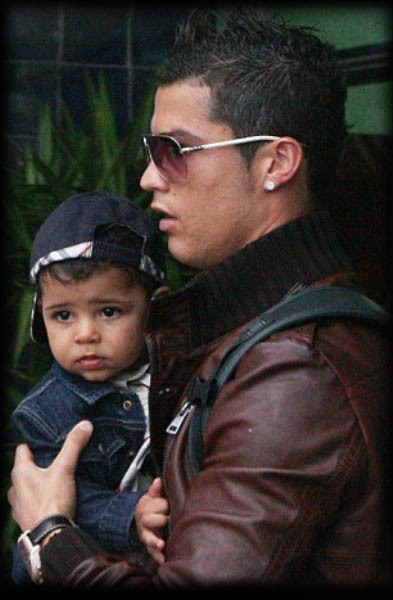 There are expected 300 guests at Cristiano Ronaldo Junior baptism ceremony and after-party. Kátia Aveiro (CR7 sister) and Jorge Mendes (CR7 agent) will be the godmother and godfather of Cristiano Ronaldo Jr. but there are many other celebrities expected to appear at this special event. Cristiano Ronaldo close friends such as Manchester United player Nani, Sporting Lisbon's striker Yannick Djaló and his girlfriend Luciana Abreu, Portuguese pop singers Tony and Mikael Carreira or Ricky Martin, are just a few names of the national and international celebrities that should be participating in the christening ceremony and after party. Cristiano Ronaldo will keep on vacations in the next weeks and we'll keep you updated with his next destinations and adventures.